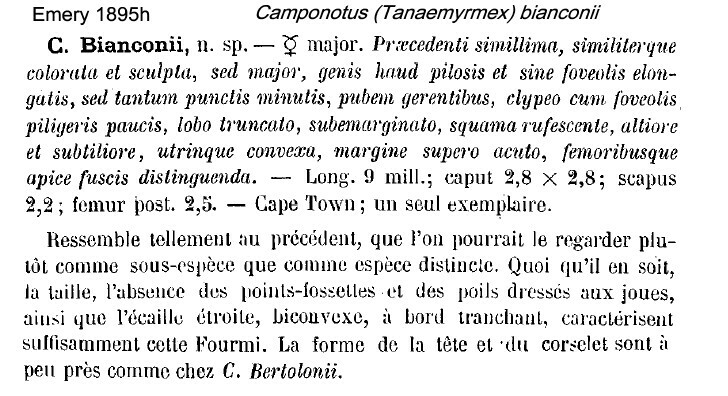 Type locality South Africa (Camponotus Bianconii n. sp., Emery, 1895h: 52, major, holotype only); major only described (see Bolton, 1995) . Emery's (1895h) description is at . Arnold's (1922: 652) translation is at . 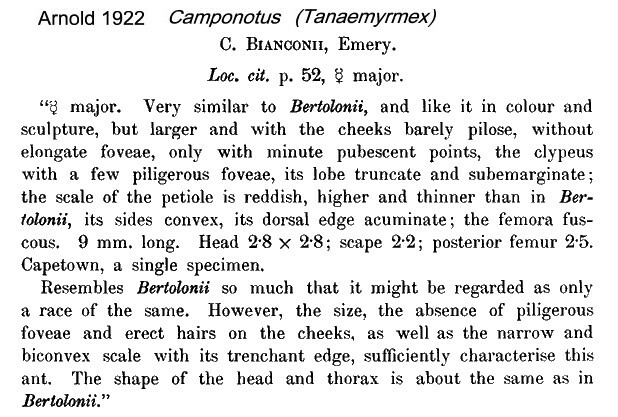 The description makes comparison with Camponotus bertolonii, also described by Emery (19895h) but that is placed in the subgenus Paramyrmablys. and with sight of the Antweb images it is clear bianconii also is a Paramyrmablys (here, 2013). 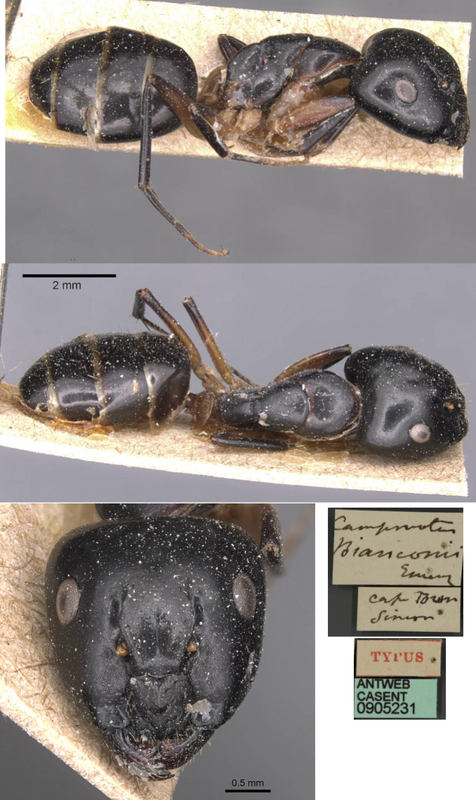 The photomontage of the type major worker is collated from http://www.antweb.org/specimen.do?name=casent0905231.